No Bake Oatmeal Cookies are very easy to make, without even turning on the oven! 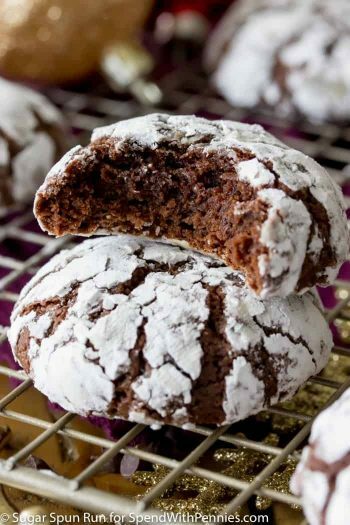 Made with oats and cocoa, they are deliciously chewy and very chocolaty. With summer in full force, the last thing I want to do is turn on my oven. But bikini season doesn’t really translates into dessert free season. 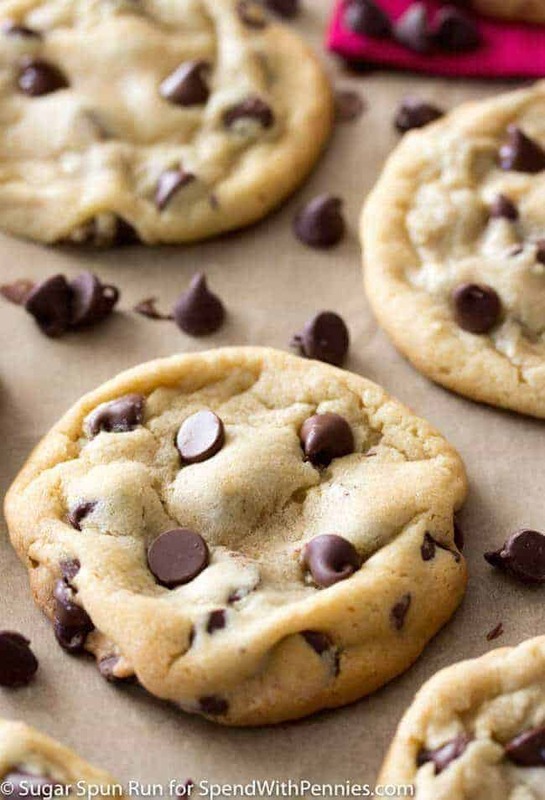 I love to have fresh cookies on the counter to snack on during the day or to enjoy with a cup of coffee. 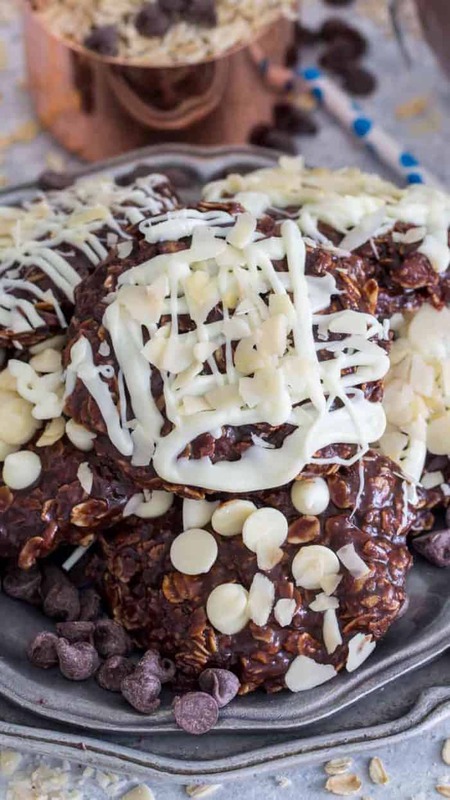 Easy No Bake Oatmeal Cookies to the rescue! 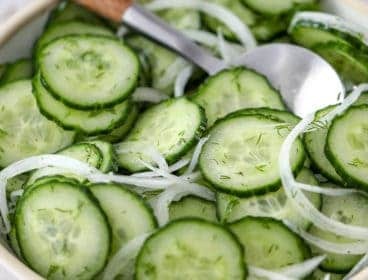 These are so simple to make and the best part is that you don’t have to bake them. 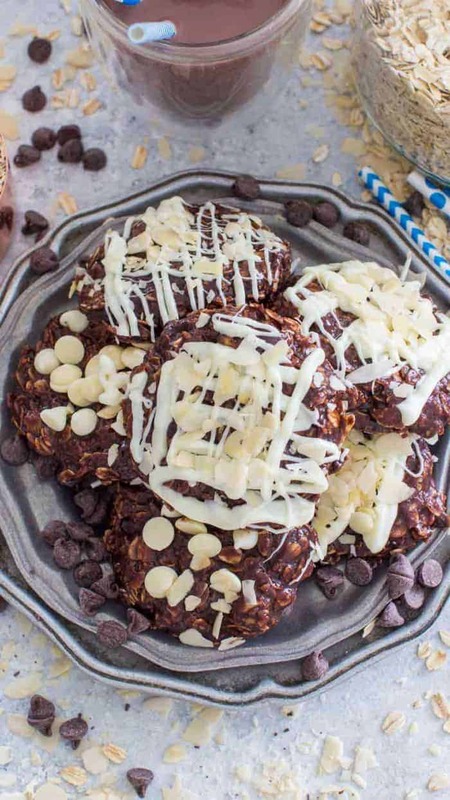 These no bake chocolate oatmeal cookies are fantastic! I absolutely love that you have to put in minimum effort. You don’t even need a mixer to make them. 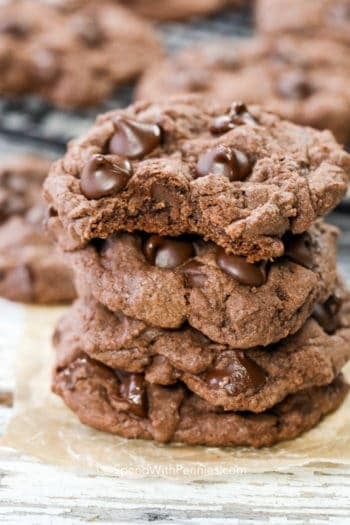 After you make the chocolate mixture on the stove for a few minutes, all you have to do is mix the rest of the ingredients, scoop the cookies and chill. 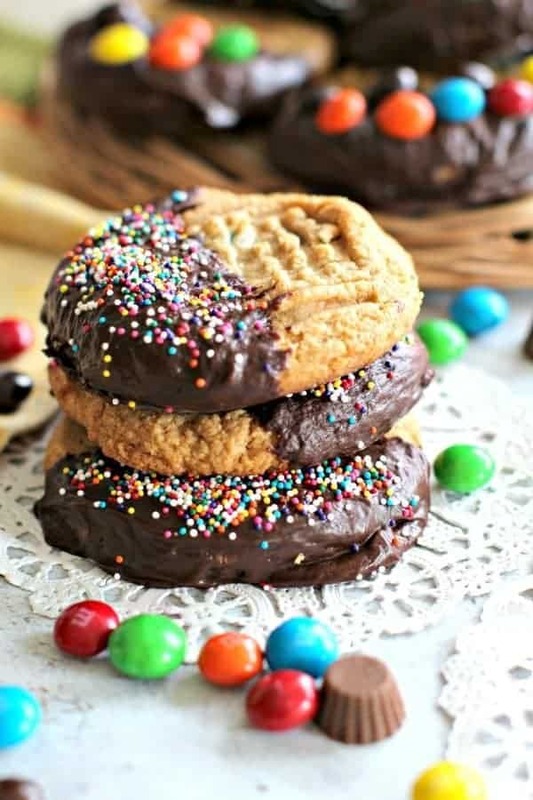 The result is very fudgy and chocolaty cookies that you won’t be able to resist. 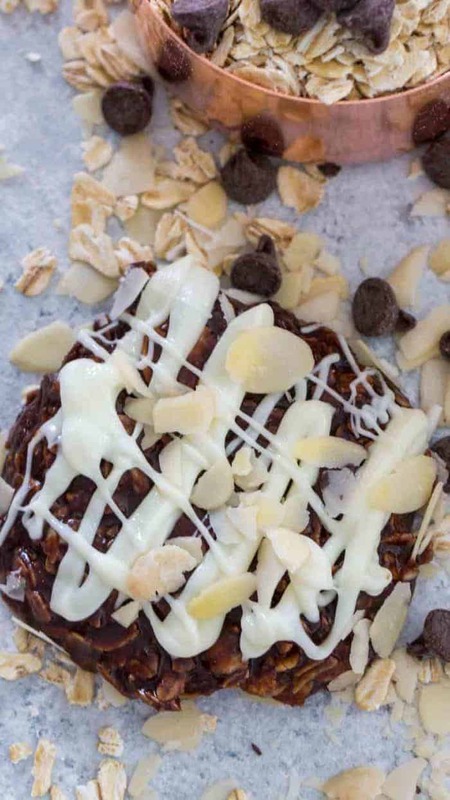 What Do You Need To Make No Bake Oatmeal Cookies? 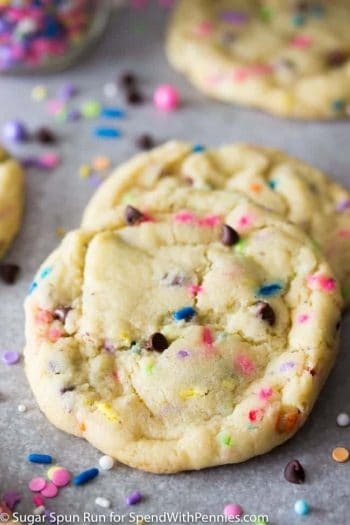 Unsalted butter – I actually tried these cookies once with salted butter, and I liked it, but I particularly love sweet and salty combo. I didn’t think that the salt overpowered the sweetness of the cookies, it was more like a complimentary flavor for the chocolate. White and Brown Sugar – I always like to use brown sugar in my dessert, it just adds such a beautiful caramel flavor. You can use white sugar if you don’t have brown sugar on hand. Milk – you can use dairy free milk as well. Vanilla and Salt – they will elevate the chocolate flavor. 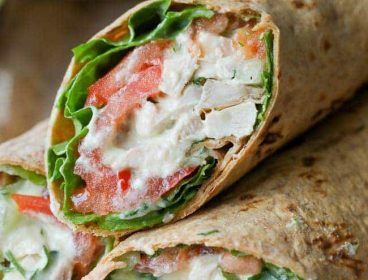 Oats – I like using quick cooking oats. Peanut Butter – I prefer to use creamy over crunchy. 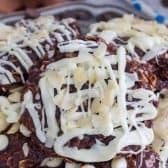 The crunchy peanut butter will produce no bake chocolate peanut butter oatmeal cookies that are a bit dryer and more crumbly. Make the chocolate mixture in a sauce pan over medium heat. Stir in the nut butter and the quick cooking oats. Can You Make No Bake Oatmeal Cookies Without Peanut Butter? Yes, you can. If you are allergic or just want to skip the peanut butter, you can substitute it with any other nut butter or even sun flower seed butter. You may have to adjust the oats ratio by a bit. Chopped Nuts: walnuts, cashews, almonds etc. No Bake Rainbow Pie – colorful! What To Do If the No Bake Oatmeal Cookies Are Not Setting? There may be multiple reasons why the cookies are not setting and why they are spreading too much. As much as you try to follow the chocolate oatmeal no bake cookies recipe exactly, sometimes you just have to adjust the ratios of the ingredients to make sure you get the right texture. After you mix all the ingredients, you should be able to easily shape the batter and press it into cookies or leave it into balls. After you refrigerate the cookies, they need to hold their shape when you pick one up, so you can easily bite into it. Brown Sugar – remember, if you use brown sugar, it adds moisture , so you may have to add 1/2 cup more of oats. 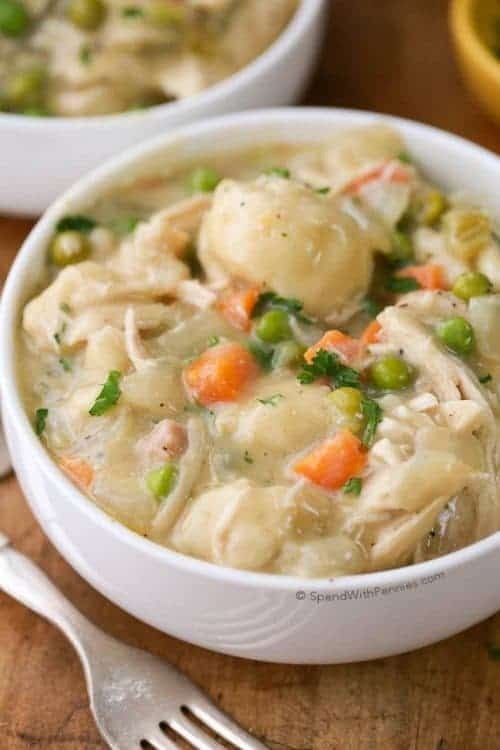 Oats – it depends if you are using quick oats or old fashioned oats; if you use old fashioned oats, you may have to add an extra 1/2 cup of oats. If the cookies are too dry and they crumble, impossible to shape, you can add a bit of melted coconut oil, 1 tablespoon at a time. 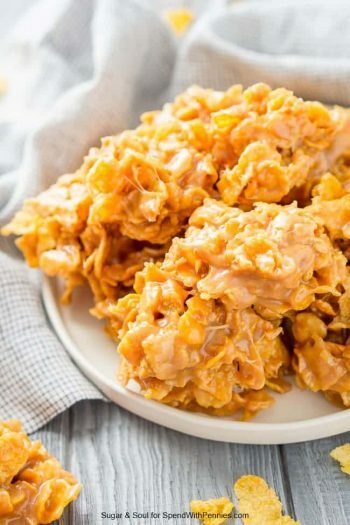 If you added all the oats you have on hand and the cookies still don’t hold their shape well, you can mix in shredded coconut flakes or graham cracker crumbs. 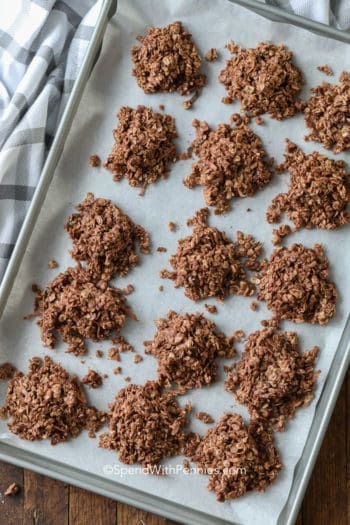 Give these no bake cookies a try, and you’ll be eating them all summer long! Add butter, both sugars, milk, cocoa powder and salt to a medium sauce pan over medium heat. Stir to combine and bring the mixture to a rolling boil. Hold for 1 minute and remove from heat. Stir peanut butter into the hot mixture until melted. Add the oats to the mix and stir until fully coated. If the batter is too soft, mix in the remaining 1/2 cup of graham cracker crumbs or just extra oats, 1/4 cup at a time. Using an ice cream scoop or large spoon, scoop the batter and shape into balls or cookies. Flatten slightly the cookies and place on a baking sheet covered with wax paper. Let cool to room temperature and chill for one hour before serving. Melt some white chocolate bark and drizzle it over the cookies. 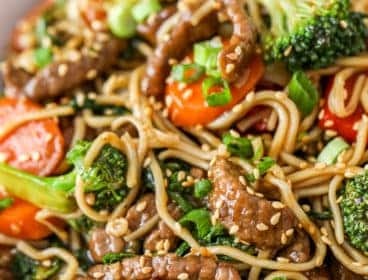 Top with chocolate chips or dried fruits for extra flavor. This should be done right after you place the cookies on the baking sheet. 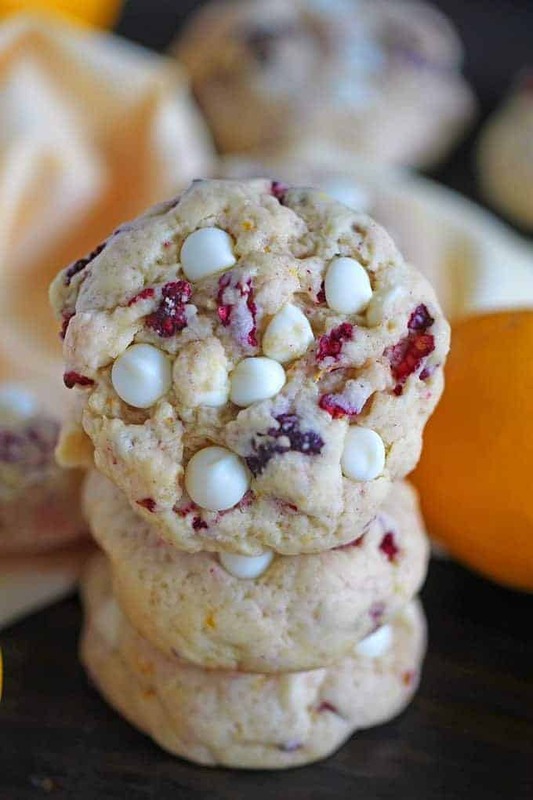 REPIN this Easy Cookie Recipe! Catalina thinks that time in the kitchen should be fun, and we should spend less time cooking and more time eating! 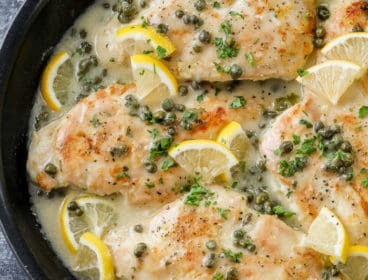 As a successful business woman with a busy career on Wall Street, she creates fool-proof recipes for busy weeknights. 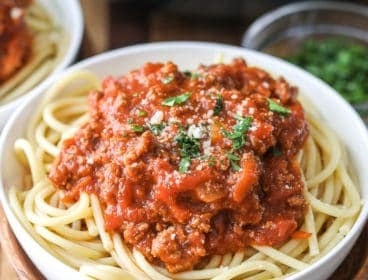 Catalina will inspire you to experiment with flavors, try new ingredients, use your slow cooker and pressure cooker and create easy meals with less effort and more flavor. 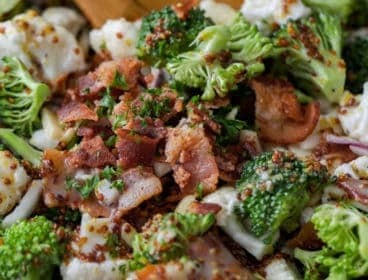 You can visit her blog Sweet & Savory Meals for delicious dinner and dessert recipes that are husband and toddler approved! 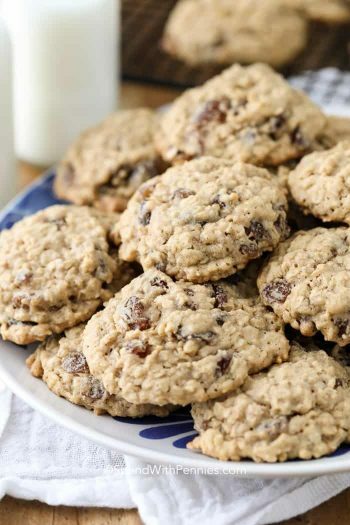 Thanks for sharing the great Oatmeal cookies recipe… It’s too yummy..